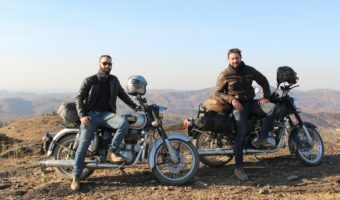 Over 6,000 km and hundreds of dal bhats later, a little piece of a typical day in Mustang… Josh, tour leader at Vintage Rides, tells us about the trip he just experienced in Nepal. I wake up, it’s chilly, and I don’t want to leave the warmth of my blankets. What time is it and where are we going to today ? 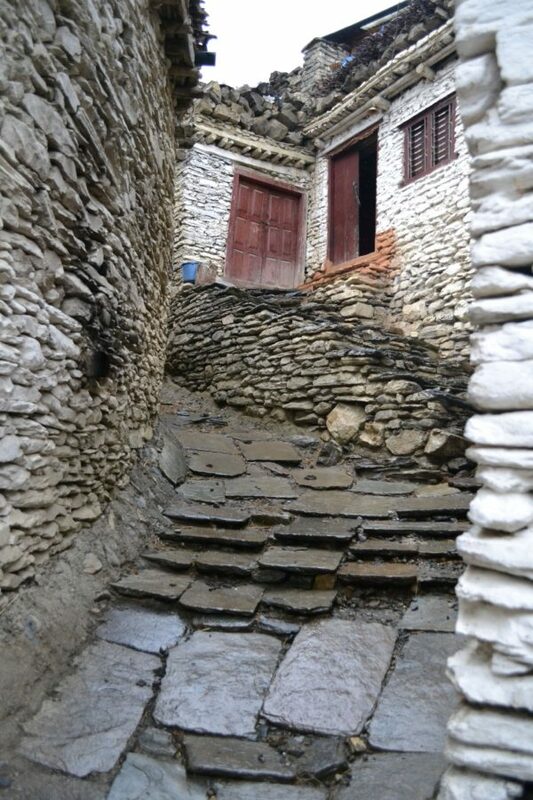 I look around the wood paneled hotel room and realize that I’m in Marpha (2,600m), a small village with traditional stone houses and chortens situated in the Mustang region of Nepal. 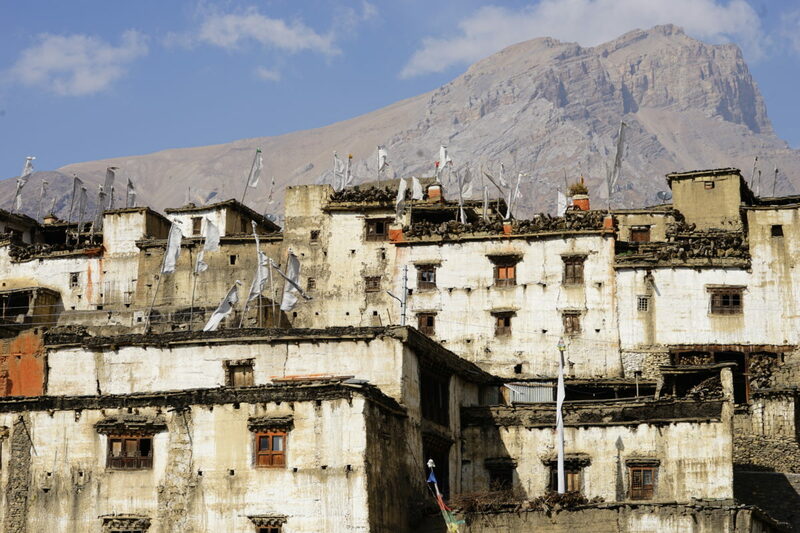 Known as the apple capital of the country, Marpha is infamous for its local apple brandy, which brings a warm glow of comfort to many travelers. 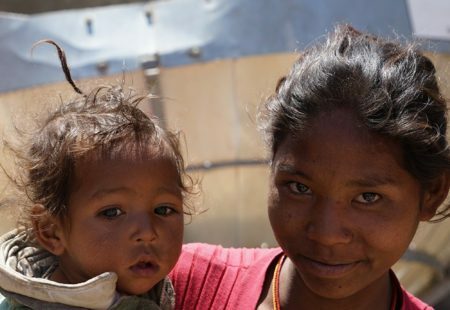 Today we’re going to Jharkot - an arduous journey of 45km to the upper limits of lower Mustang that will see us ascend 1,200 meters on our stoic Royal Enfields as we traverse tiny suspension bridges, ride along boulder strewn roads, and cross the Kali Gandaki River which forms the deepest ravine in the world. We have a full day ! 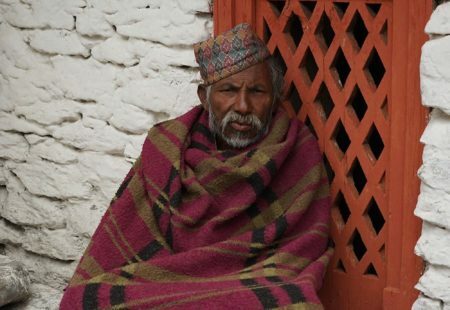 We eat a large breakfast of eggs and chapatti in the traditional dining room, which is still warm from the remnants of ashes left in the charcoal heaters. It’s all smiles this morning in our close group of 6 riders. The alluring call of Mustang has never been so tantalizingly close ! 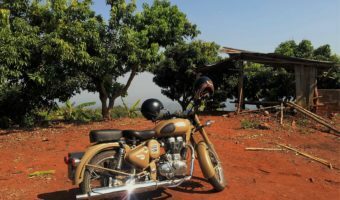 We head outside to our bikes, which have already had the ice melted off, wiped dry, and started by our trusty mechanic Atul. The first planned stop for today will be in Jomsom; a small town that serves as one of the final outposts for departing trekkers and adventurers alike. Its small stone streets are lined with guesthouses and supply stores selling innocuous things such as Kit Kats or crampons. 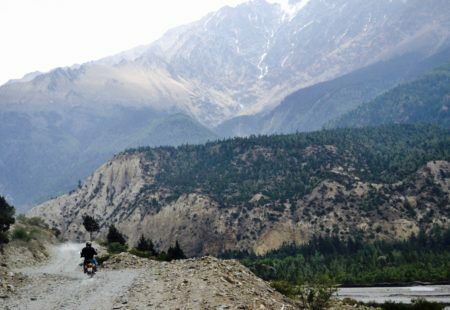 There are two ways to pass through Jomsom. Our 4x4 carrying all of our equipment will pass to the left and descend to the Kali Gandaki river basin before rejoining us on the road to Jharkot. 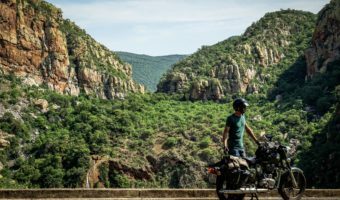 We will take our Royal Enfields and wind through narrow cobblestone streets until we arrive at a pedestrian steel rope suspension bridge covered in blue paint and Tibetan prayer flags. The bridge sways from the breeze as we ride our motorcycles across it. 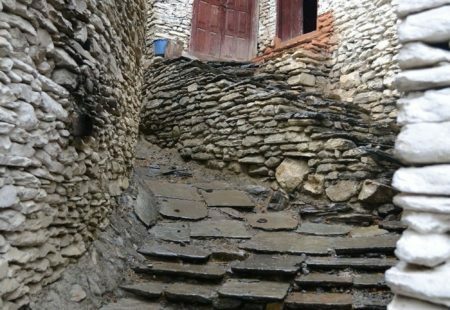 From the moment we leave Jomsom, it feels as if we have entered a new world. Now in the subalpine zone (3,000meters +), the peaks of the Dhaulagiri and Nilgiri mountains soar above us. The landscape is rocky and barren with a sharp contrast between the light brownish hue of the terrain and the ethereal vivid blue of the sky. 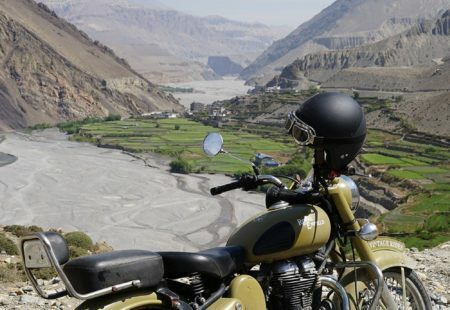 We ride along a stony serpentine road that writhes its way ever deeper and higher into Muktinath valley (3,700meters). Up ahead on the left, we see a village with small green terraced fields. We turn right, on the road that continues climbing towards Jharkot. 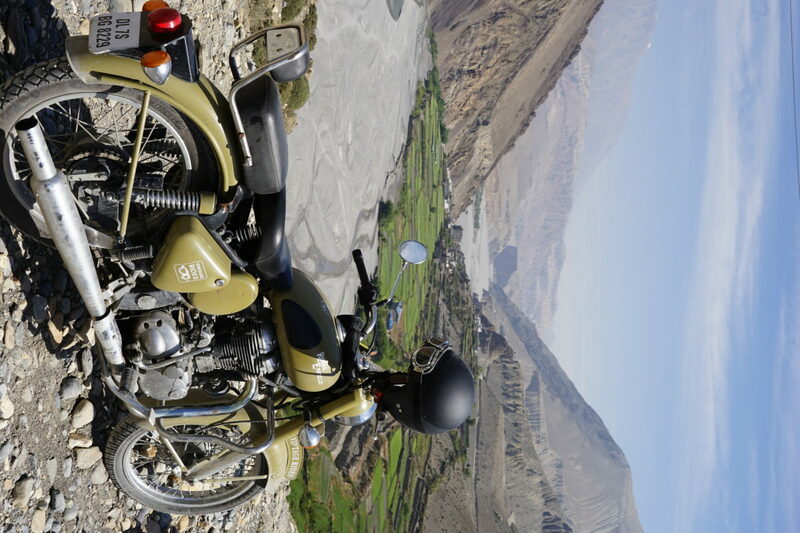 The Royal Enfield is adept at riding such roads and the sensation of being on the roof of the world is indescribable. 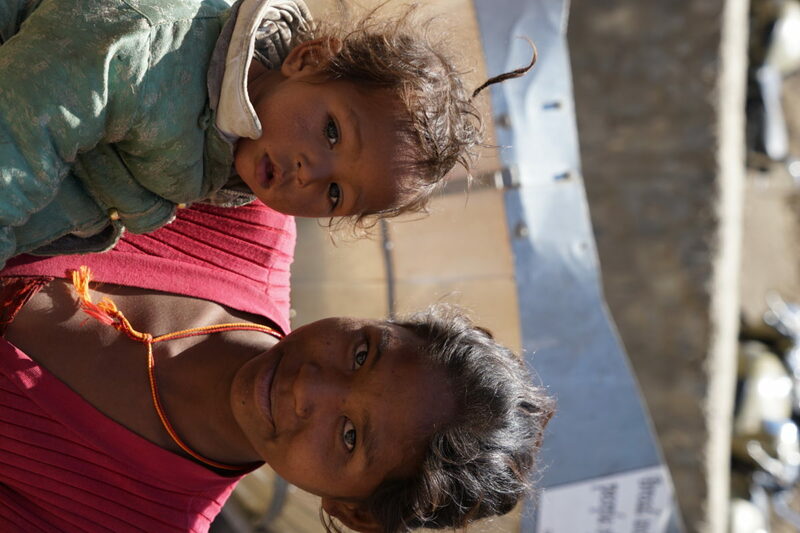 As we approach the tiny village of Jharkot perched ahead on the left, we see yaks, a Buddhist monastery, stupas, prayers wheels, and traditional stone houses with firewood stacked on the flat roofs. It feels like we have been transported back hundreds of years. The bikes are parked at the entrance of the village.